In a twist of weather February is arriving. After a relatively nice day today, the weather is turning more winter-like for the next week. It is February after all. 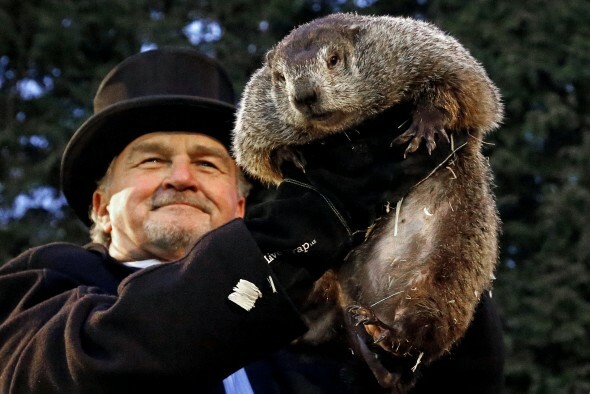 Tomorrow is Groundhog Day! 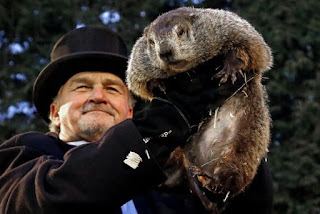 We will receive the rodent-generated weather forecast. I suppose it will be as correct as our local weather forecasters. There will not be any golf this weekend. After we hit 50 today, temperatures will not be above 40 again until Wednesday next week. The cold means that Finnegan will not be able to exercise his youthful exuberance outside. Frankly, his high-pitched bark, when playing, is incredibly aggravating. And the weather is grounding Radio Flyer, my drone. I wish the cold was over and Spring had arrived. On the warm side--the Spring Training trip is planned, the Spring Break trip is planned, and the summertime cruise is planned! All of them are to warm weather areas. And sandy beaches! Here is hoping for an early Spring. It is time for the warmth to return and for us to get on with our outdoors life.